﻿ Maison Milano - UNA Esperienze Milan. JIMAT di Agoda.com! Ada soalan mengenai Maison Milano - UNA Esperienze? Ketika melawat Milan, anda akan merasa seperti di rumah di UNA Maison Milano Hotel, yang menawarkan penginapan berkualiti dan perkhidmatan hebat. Dengan lokasi hanya dari pusat bandar dan dari lapangan terbang, hotel 4-bintang ini menarik banyak pelancong pada setiap tahun. Pelawat yang datang ke hotel boleh melawat tarikan utama di bandar ini seperti: Piazza del Duomo, Galleria Vittorio Emanuele II, Chiesa di Santa Maria presso San Satiro. UNA Maison Milano Hotel juga menawarkan banyak kemudahan untuk memperkayakan penginapan anda di Milan. Hotel ini menawarkan pelbagai kemudahan di lokasi untuk memuaskan hati tetamu termasuk yang arif. 27 bilik di sepanjang tingkat menyediakan suasana nyaman dan menyenangkan. televisyen skrin rata, internet wayarles (percuma), penyaman udara, pemanas, meja boleh didapati di beberapa bilik. Di samping itu, pihak hotel menawarkan aktiviti rekreasi untuk memastikan anda mempunyai perkara untuk dilakukan sepanjang penginapan anda. Apa juga tujuan lawatan, UNA Maison Milano Hotel merupakan pilihan yang terbaik bagi penginapan anda di Milan. Pengangkutan lapangan terbang disediakan dengan caj tambahan. Tetamu boleh menghubungi pihak penginapan setelah menerima pengesahan tempahan. Cukai bandar perlu dibayar secara tunai. Carlo and his team are excellent hosts for this perfectly located hotel. The staff are true concierge to help you see and enjoy Milan in the best possible way. Will stay again. The Duomo and the Galleria Vittoro Emmanuelle II is just a few minutes away. Metro and tram stations are just outside hotel. Superb location. No food outlet in the hotel though but they do offer breakfast in room. Plus, many cafes and restaurants just a short walk from the hotel. Staff were attentive to all needs. The hotel also offers pillow options! This hotel is absolute perfect. We stayed in a Junior Suite, which was spacious and immaculately clean with a large bathroom. The staff get 10/10 for attentiveness and helpfulness. I cannot find any fault at all with this hotel and would not consider ever staying at another hotel in Milan. Overall score is a massive 10/10. Excellence is the word that i will say when people ask about this hotel, from the location till the staff and services. The location is the best that you can find since its 1 minutes walk from duomo, with all the room have balcony that facing the main street without having the noise of the crowd since they have double glass window So you can have great sleep quality cause the bed’s so comfy and especially cause they give you pillow selection as well !! And the classic modern room interior that make the new standard size room not feel to small for my 2 big luggage and 2 cabin luggage. The bathroom itself very well equipped with bathtub and shower and complete amenities ( and surprisingly quite spacious) . For the breakfast they will prepare it for you in the room so it quite very special rather than having buffet like most hotel did, and it was quite generous portion of breakfast they serve with great quality of food. But for us the most and the highlight is the staffs and the service, we’ve been stayed a lot in boutique hotels in many countries so we were quite accustomed with friendly staff and warm welcome services, but here we found it quite special and we were so happy about it. Definitely will stat here or in una maison group when we come to italy next time. Such a shame being so perfectly situated in the heart of Milan, right next to the piazza and the basilica. However, my partner got covered in bites as soon as the extra pillow in the wardrobe was used... When we reported this to the staff and complained about the room, we were asked to go to their "sister" hotel (both owned by the same owner) to complain as he cannot understand us ... In short, we were moved to a different room which was a lot better. Didn't like the fact the hotel staff implied it was us who brought the bugs with us... this was the first time we experienced bed bugs throughout our 1 month euro trip and we stayed at 5 hotels and 2 houses during this time. In fact, we have been traveling for many years and this is the first time we experienced this as well !! Booked UNA MM 36 hrs in advance, the last part of our trip to Italy because our flight flew out of Malpensa Airport. The location is optimal for transport. We arrived by train, then subway, then short walk to the hotel, as well as taking the subway to the Malpensa Express train to the airport the next morning. We preferred train/subway, because the airport is about a 1 hr drive outside the city, and we were leaving in the morning so wanted to avoid any traffic delays since we weren't familiar with the city and airport. The hotel is also right next to the Duomo, and since we only had a few hours in the afternoon and the evening to explore, it was nice to be able to pop out and see the incredible cathedral just steps from where we had dropped our bags. It was also walking distance to the castle, science and technology museum and Brera area which we wanted to browse through. Staff very helpful. The drawbacks were the high(!) rate though Milan may just be expensive & we booked late. Hotel just right in front of Duomo . Hotel a bit small but consider location they are, it had compensate all this minor weak point. Clean and very comfortable in room. Staffs they are very helpful . All of they staffs, I mean. Every staff have a real good service mind. Will stay here again if re-visit. Hotel has no place for serving breakfast, so they have to serve b/f in room if you need. But just step out of hotel door, you find everthing. The staff is extremely friendly and helpful. The location is excellent near to Duomo and lots of shopping around. Rooms also have all the things you need. Just to note, they are the only hotel in which i have travel to Europe that has nail polish removal! Very very interesting. Fantastic on almost everything! 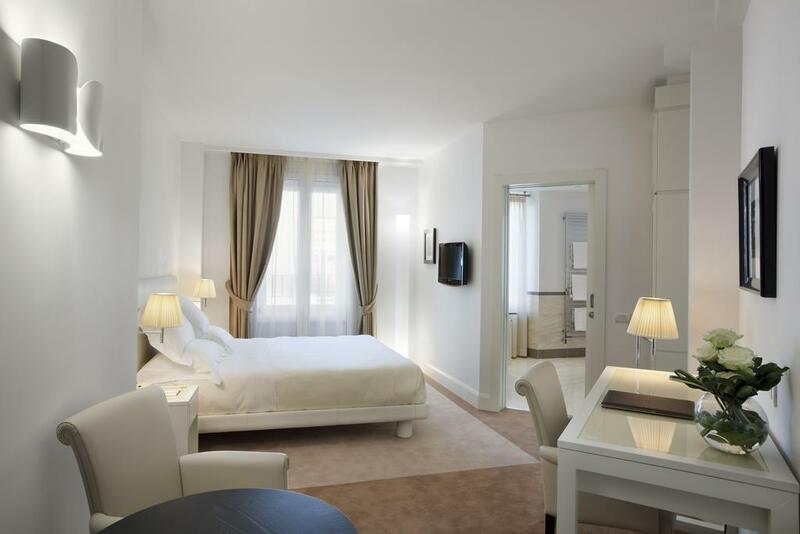 Free uogrades ro executive room, big clean room, big clean bathroom, fantastic location with metro just outside hotel and 1 min walking distance to the duomo and all shopping area. Booked this hotel for the second time. Location is the best. It is so close to Duomo (2 min walk only) and shopping area. Room is very spacious. Staffs are also friendly and helpful. I will definitely come back. Incredible location which is about half a minute's walk from the Metro n right next the Duomo. The staff are extremely friendly n helpful, we were treated to pastries n cappuccino upon our arrival. Will definitely return to Una MAISON for our next visit. Check out the Princi bakery on the lane behind the hotel, freshly baked pastries of sorts. Nice little boutique hotel at excellent location. Great value for money during Recwinter period. Friendly and helpful staff - makes one feel welcome and stay most pleasant and enjoyable.It is a pity that it does not have in-house restaurant. Location, friendly staff, clean ! I loved my stay at UNA, they have very big, clean and nice room. Superb location with all the tourism places around, and most important thing is, I feel "home" every time I stepped into UNA. The staff can speak very good English and very friendly and helpful. I would definitely be back for my next visit to Milan ! 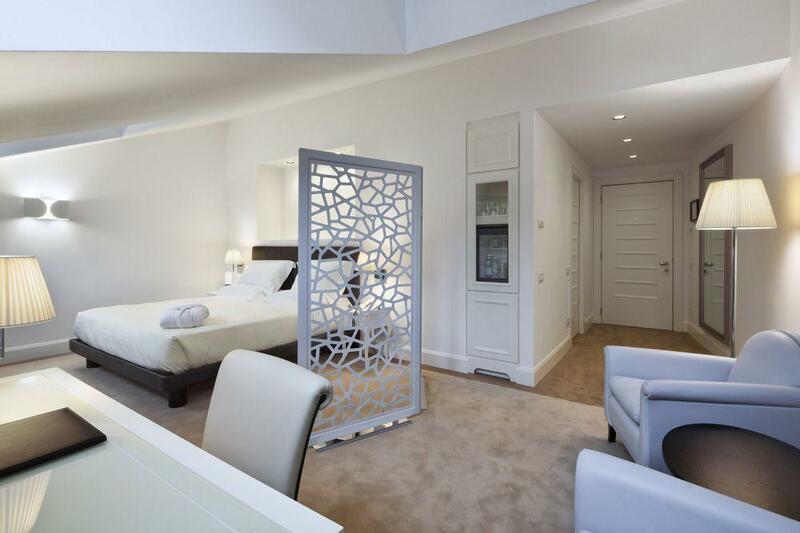 UNA Maison Milano Hotel surely has the BEST LOCATION in Milan. 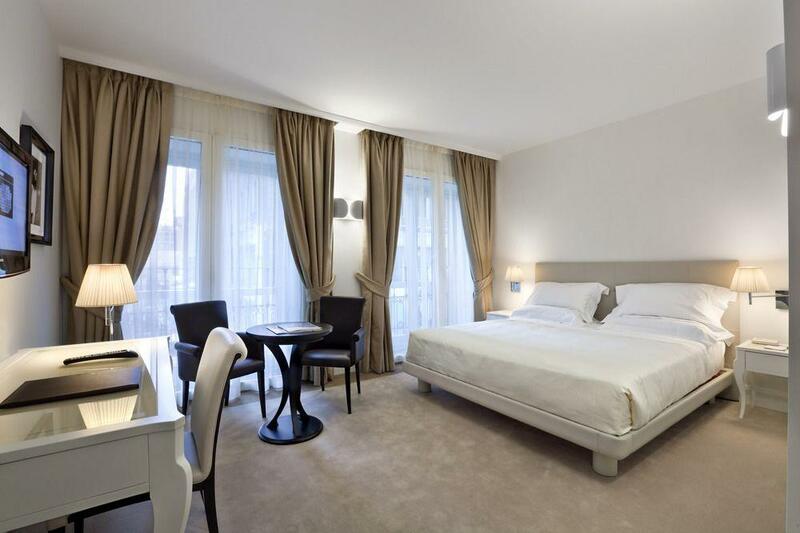 It is just next to the Milan Duomo and few minutes walk away from the major shopping districts in Milan. The staffs are friendly and room is clean and comfortable. Perfect location, just outside the duomo cathedral. the only thing that we need to complain about is that they don't have restaurant. We can only have breakfast by room service, since we are a group of 7 so we have to eat separately (but the breakfast is good). Everything is perfect other than that. Staffs were very friendly and gave many great recommendation for restaurants! Very awesome place to stay! Very close to Milan Duomo, good location for your transportation shopping and dinner. very nice staff, we arrived at hotel before 9am, they still quickly arrange our check-in and let us have a rest in the room. Decent facility although our room was a bit tired, wonderful staff; great location. Value for money was not great. Our rate was very high per night, over €340 which may have been due to our visit corresponding with Design Week.